Rev. 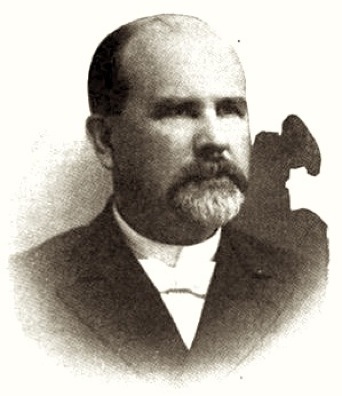 Edward Toland Hodges was born on 11 November 1847 in Newberry District, South Carolina. He married Harriet S. J. Pegues, daughter of Benjamin Franklin Pegues and Sarah Ann Wilds Gillespie, circa 1876. Rev. Edward Toland Hodges became a widower at the 2 July 1877 death of his wife Harriet S. J. Pegues. Rev. Edward Toland Hodges died on 25 September 1925 at age 77 in Richland County, South Carolina. He was interred at Elmwood Memorial Gardens, Columbia, Richland County, South Carolina. A biographical sketch appears in Twentieth Century Sketches of the South Carolina Conference, M.E. Church, South (1914).